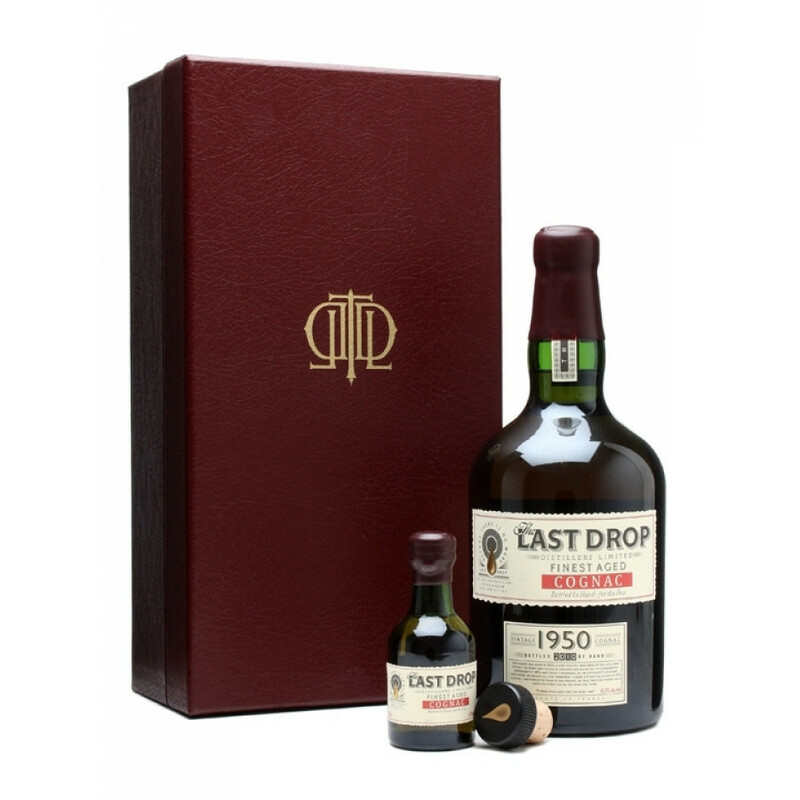 Jim Murray, a great whisky taster, was asked to review Last Drop's 1950 Cognac, sixty years old but still fresh, and with Last Drop's permission we are quoting his tasting notes verbatim. He rated it using his whisky guidelines and gave the Cognac a 95 rating, which means A superstar that gives us all a reason to live. Here comes a Vintage Cognac bottle from Last Drop: 1950. A bottle with driven cork wax-sealed, plus a 50 ml miniature also sealed with wax, in fine maroon leather coffret. Enclosing certificate of authenticity and bottling date. Last Drop bottled this eaux-de-vie from an old barrel close to the town of Cognac. Three partners with more than 120 years’ experience of the fine spirits trade between them have formed a tiny company to share their experience and enjoyment with connoisseurs around the world, bottling and selling a few of the finest distilled spirits they have found.